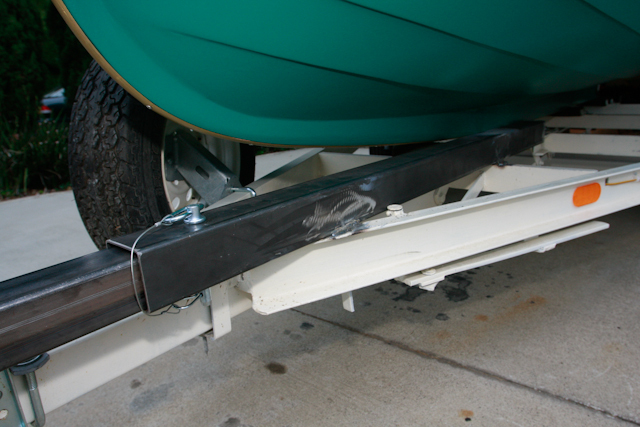 An extension was welded onto my trailer to allow for shallow water launching. 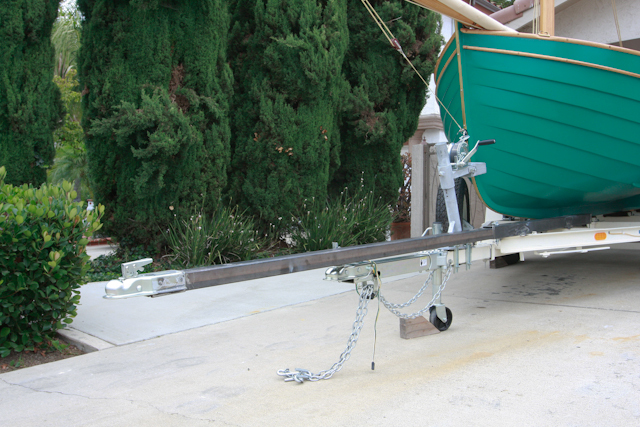 The high trailer bunks require a rather significant ramp angle to allow for proper launching. To protect myself from being unable to launch due to a low tide, or low ramp angle at some launch ramps I had an extension bracket welded to the frame. I found the necessary square tubing at a local metal supplier and bolted on extra trailer tougue. A quality weld job was done by ABC Welding in Anaheim. Chuch Williamson went out of his way to do an outstanding job and protect Alice Gale from weld splatter. It has been a few years since the trailer modifications. I used the extension one time up in Washington and found it useful for the shallow launch conditions. Back home in Southern California and no additional need for low water launch I have now found that the extension tube is fully rusted into the holding tube. I have been unable to free the extension and find it useless now. Eventually I will have it cut out.